The Pomeranian belongs to the spitz family and its ancestors where sled dogs living on Iceland and in Lapland, Scandinavia. You can still clearly see how the Pomeranian is well adapted to a life in extremely cold and snowy conditions. The name Pomeranian is however not derived from a place above the artic circle; Pomerania it is a region in Historical Eastern Germany. The region is today shared by Poland and Germany. In many countries, the Pomeranian breed is known as Zwergspitz, which means dwarf spitz in the German language. In this article, you will find a lot of Pomeranian dog information, including brief info about how to care for your dog and what to think about before getting a Pomeranian dog. If you need more detailed and comprehensive Pomeranian dog information, do not hesitate to contact your local Kennel Club or Pomeranian Organisation. The coat of the Pomeranian resembles that of the Pekingese and needs to be brushed regularly (against the hair) to stay free of mats and frequents brushing will also increase circulation and help prevent dry skin. Very little trimming is necessary and you only have to remove straggly hairs. It should be noted that the Pomeranian will shed its thick, plush coat seasonally and that the Pomeranian is counted among the heaviest shedding toy breeds in the world. When it comes to the rest of the body, Pomeranian dog care must involve gentle ear, teeth and nail care and this breed should not be frequently bathed since this can dry out both skin and coat. You should also avoid using anti-flea products on a regular basis since this can remove beneficial oil from skin and hair. Seasonal bathing is definitely enough. Brush the teeth of your Pomeranian daily, or at least 1-2 times a week and avoid giving it sweet foods. Special dental treats can be purchased. The Pomeranian dog puppy is even more adorable than the extremely cute adult dog, but before you decide to get one you should ask yourself if you will be willing and able to care for this new member of your family for the next 12-15 years or even longer. Will you be able to provide it with enough companionship, training and exercise? Can you afford to take it to the vet? Are you prepared to devote sufficient amounts of time to Pomeranian dog care? You should also keep in mind that Pomeranians shed A LOT. Do not get a Pomeranian dog puppy unless you are okay with finding hair on all your clothes, furniture and carpets. You will be forced to vacuum clean your house several times a week; otherwise your entire home will be covered in an ever growing a layer of Pomeranian hair. The Pomeranian certainly has a mind of its own and it is not as eager to learn and please as many other breeds. It is clever, but it might not always use its intelligence to learn new tricks or understand your commands. You must therefore firmly establish that you are the leader of the pack and that begging, sulking, or other forms of manipulation will not work on you. If you show your Pomeranian that you are weak and inconsistent, it will assume that it must become the leader of the pack since you are too much of a sissy to adequately protect the family and make the right decisions. If you on the other hand show your Pomeranian that you are confident and unswerving, it will gladly accept you as the pack leader and leave the decisions up to you. It will still have a mind of its own, but the Pomeranian dog training will become much easier once it has learned to trust you as the leader of the pack. Never forget that the ancestors of the Pomeranian were sturdy sled dogs from Lapland in Scandinavia, and such breeds will always have a will of their own – they must for instance be able to determine that the ice is too weak and stop on their own instead of gladly following the command of the sled driver. One essential part of Pomeranian dog training is to take control over when and why your Pomeranian barks. Pomeranians are inclined to bark at every new sight and sound, and if you leave them alone for longer periods of time they can develop a nasty habit of barking non-stop. The high-pitched bark of a Pomeranian will be enough to drive you as well as your neighbours crazy in no time, and Pomeranian dog training should therefore always include bark control. If you are unwilling to spend a lot of time on this type of Pomeranian dog training and live in a place where you have neighbours, the Pomeranian is not a good breed for you. As mentioned above, the ancestors of the Pomeranians where sled dogs living on Iceland and in Lapland, Scandinavia. Eventually, specimens of these dogs where brought to Pomerania in continental Europe where they where they were selectively bred to become more pet like. The modern day Pomeranian did not come into existence until the 19th century. Earlier, the pet Pomeranians where much bigger and the modern day Pomeranian is small due to extensive selective breeding. English breeders are normally credited for making the breed smaller, and also for adding a lot of new colours. Pomeranian dog breeding really caught on in England when Queen Charlotte made the Pomeranian trendy among English nobility. The trend was boosted even further when her granddaughter Victoria brought a Pomeranian with her as she returned from a vacation in Florence. When choosing among the many Pomeranian dog breeders, it is important to select a serious breeder that strives to develop healthy and well socialized dogs. Puppy mill owners and other irresponsible Pomeranian dog breeders will often bred Pomeranians without any regard to the health status and genetic heritage of the parents, and this type of breeding greatly increases the risk of getting a sick Pomeranian. Sometimes the health problems will not manifest until the dog is several years old, so buying a Pomeranian dog puppy that seems healthy is by no means any guarantee. Two of the most serious hereditary health problems in Pomeranians are collapsing trachea and patent ductus arteriosus (a hearth defect). Luxing patella is also common, but much less dangerous since it only involves a dislocated kneecap. Other non-lethal problems common in Pomeranians are dry eyes, tear duct disorders and cataracts, but while not being life threatening they are still serious since they can cause blindness. These problems can manifest as early as young adulthood. Skin problems, including allergies, are also common in the Pomeranian dog breed. 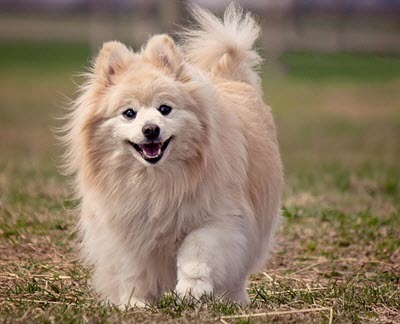 Other examples of health problems that reputable Pomeranian dog breeders strive to minimize the risk for are epilepsy, follicular dysplasia (alopecia X), hypothyroidism, and hypoglycemia. 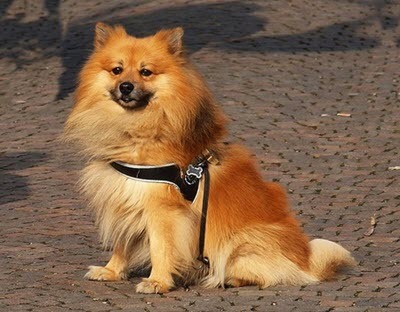 Hip dysplasia and Legg-Calvé-Perhes syndrome can occur in Pomeranians, but since the Pomeranian dog is such as small breed the risk is not high at all. It is hard to give any general guidelines when it comes to Pomeranian dog price tags, since the purchase prise varies a lot between different breeders. The price will also depend on if you want a Pomeranian dog puppy, a young and fully trained dog, or a dog that lives in a shelter or needs to be relocated from its current owner. The most important thing is to ask yourself what you get for your money. Will you get a Pomeranian puppy that has been vet checked, de-wormed and vaccinated or will you have to pay for this out of your own pocket? Has the Pomeranian dog breeder used healthy parents, or are you buying from a puppy mill owner that simply uses whatever parents he or she can find and forces them to produce as many puppies as possible each year? If you buy your Pomeranian dog from a reputable breeder, you will greatly increase your chances of ending up with a health and well socialized Pomeranian that can stay with your for at least 12-15 years. Some very healthy Pomeranians have even grown to be 20 years old! Trying to save a few bucks on the Pomeranian dog price by purchasing from a puppy mill is therefore a bad idea, since you increase the risk of getting a dog that needs expensive veterinary care and/or dies prematurely.